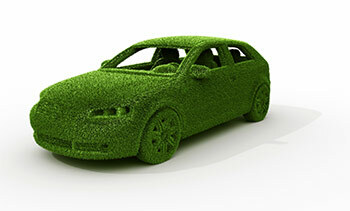 Developing energy-efficient products is a key element of our desire to save energy and to deal with climate change. In order to ensure efficient resources management, to protect the environment as well as to maintain high standards in occupational health and safety, Infineon established an Environmental Protection, Occupational Health and Safety Management System in all Infineon production sites worldwide that is certified according to ISO 14001 and OHSAS 18001 standards since 2005. For Infineon, responsibility and sustainability are more than just the fulfillment of legal requirements. Our IMPRES program (Infineon Integrated Management Program for Environment, Energy, Safety, and Health) is a symbiosis between responsibility for humans and environment and economic success and includes our commitment to efficient resources management in the interests of environmental protection and ecological innovation. 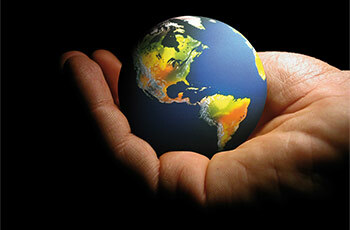 Efficient energy management is a key issue in the world’s attempts to save energy and reduce greenhouse gas emissions. We have therefore integrated our Energy Management System into IMPRES and are currently working on the certification process as part of our multi-site approach in accordance with ISO 50001. Some of these restricted (lead) of recycling relevant (brominated flame retardants) are currently found in the terminations (e.g. lead finish, bumps, balls) and substrate materials or mould compounds. The European Union has finalized the Directives. It's the member states' task, to convert these Directives into national laws. Most national laws are available, some member states have extended timelines for implementation. The laws arising from these Directives will come into force in 2006 or 2007 respectively. The electro and electronic industry has to eliminate lead and other hazardous materials from their products. In addition, discussions are going on with regard to the separate recycling of ceratin materials, e.g. plastic containing brominated flame retardants. For details please see our links to other WebPages. Some of these restricted materials are currently found in the terminations (e.g. lead finish, bumps, balls) and substrate materials or mould compounds. Infineon is fully committed to giving its customers maximum support in there efforts to convert to lead-free and halogen-free1) products. 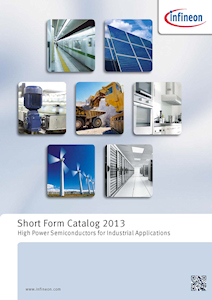 Hence, Infineon's "Green Products" are ROHS compliant. Since all the hazardous substances have been removed, Infineon calls its lead-free and halogen-free1) semiconductor packages "green product". Details on Infineon's definition and upper limits for the restricted materials can be found here. The assembly process of our high-technology semiconductor chips is a integral part of our quality strategy. Accordingly we will truly evaluate and test the alternative materials in order to replace lead and halogen1) so that we end up with the same or higher quality standard of our products. Infineon Technologies continuously evaluates and considers possible effects on people and the environment at the earliest possible stage and takes specific measures to prevent hazards to people and the environment. 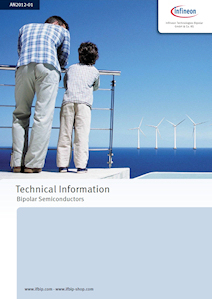 Here Infineon acts according to the general principle that a foresighted estimate of long-term effects has to be preferred to a short-term advantage orientation. The principle of precaution must always be considered.